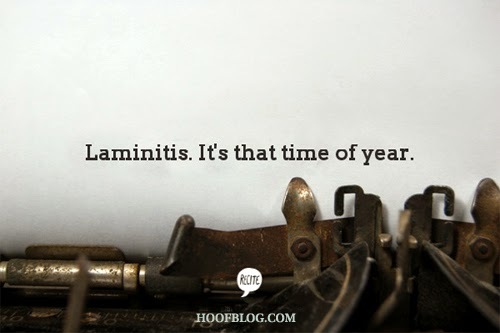 Spring laminitis case videos: What’s new for prevention and hoof management? It's spring, that annual stock-taking time when horse owners should be taking serious care of their horses' feet and examining them for signs of changes brought on by the shift of seasons and feeding as brown grass turns green. 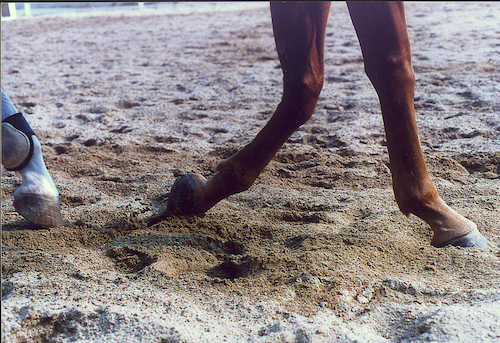 It's time for owners to talk to vets and farriers about their horses' overall condition and to look at age and lifestyle factors that might be increasing a horse's risk of laminitis-related lameness or a serious episode of the debilitating disease. On Wednesday, April 9, the PBS documentary series Nature will focus on pets who are missing parts. The star of the show will be the all-time star of this blog, Molly the (Three-Legged) Pony, but you'll also meet Chris P, the piglet who lives in a wheelchair or Mr. Stubbs, the alligator who needed a tail, and a pack of pooches who are running with the best of them but without as many legs. An interesting experiment was available to bettors Sunday at Kentucky's Keeneland racecourse as trainer Wayne Rice prepared to send no less than six horses to the post in five races. None of them would be wearing shoes. Dubai Hoofcare: What--or Who--Was Underneath the Horses in the World's Richest Race? gold raceplates before the Dubai World Cup last week; this week he's in China. The emirate of Dubai is a tiny speck on the map, but it is growing into one of the world’s premier destinations for farriers and innovations in hoofcare. Saturday’s Dubai World Cup races in the United Arab Emirates (UAE) brought not just the world’s best horses and trainers and jockeys to the tiny desert nation; it brought farriers and some horses left with more interesting equipment on their hooves than when they arrived.